New season, new edition of MCM Comic Con London! This May edition has seen many cancelled guests and panels, unfortunately, but it got off to a good start with a nostalgia return to the early nineties. And what speaks 90s nostalgia better than the Power Rangers? 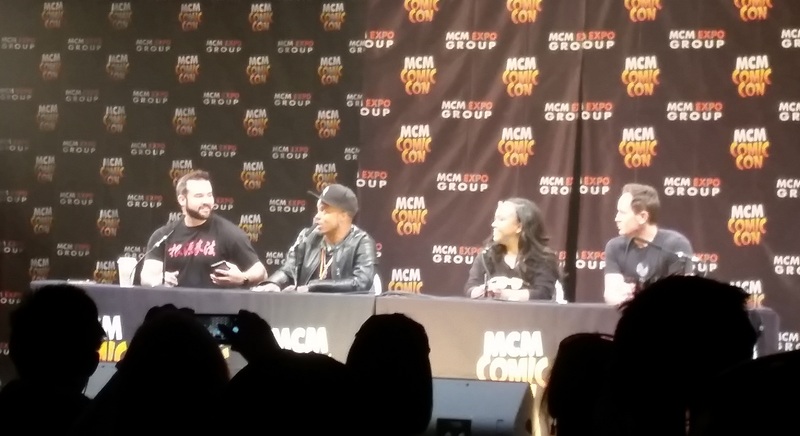 On Friday, the Power Rangers panel was attended by Austin St. John (the original Red Ranger, Jason), Walter Jones (the original Black Ranger, Zack, who hasn’t aged a day), David Yost (the original Blue Ranger, Billy) and Karan Ashley (the second Yellow Ranger, Aisha). The former rangers took this chance to reminisce about their time on the show, although they all agreed that the producers didn’t respect them enough to get them better contracts, and they were sad to confirm that a multibillion-dollar franchise such as this one doesn’t care about doing things right and even pays their actors far below the wage they deserve. But a positive aspect for the actors is the fact that they get recognised all the time. Jones pointed out how people would constantly stop him to say what a big part of their childhoods the show was. Of course, the Power Rangers movie that came out this year was also mentioned, and Yost quickly acknowledged how much he liked RJ Cyler’s portrayal of Billy, something the others didn’t hesitate to confirm. In fact, they all thought Cyler gave the best performance and his character was the best by far. Although Jones seemed disappointed that the line “it’s morphin’ time” never happened on the film, but his mates were quick to let him know that he was wrong, and that the line was uttered.